If this is the first time you are accessing the drive and need help in setting up the drive, follow the instructions on Answer ID 5724: How to install a My Book Live NAS drive on Windows or Mac OSX for the first time. Please select a Network Drive from the table above for instructions on accessing that drive's Dashboard. Turn on a PC or Mac connected to the same network as the My Book Live and open a web browser such as Internet Explorer, Chrome, Safari or Firefox. Alternatively, type the IP Address of the My Book Live into the URL field. If the network drive's name has been changed, please attempt to use the drive's name instead of mybooklive. For example, use http://drivename/ on a PC, or http://drivename.local/ on a Mac. Under normal conditions the Dashboard of the My Book Live will be displayed. Verify that the network drive's front LED is green. Use the setup software, if it has not been attempted already. The software can be found in the Online Learning Center. Power Cycle the My Book Live. Unplug the router's power and wait 30 seconds. Reconnect power to the router and wait for it to reboot. Once this is complete, attempt to access the Dashboard again. If still unable to access the device, please Contact Us for additional troubleshooting. 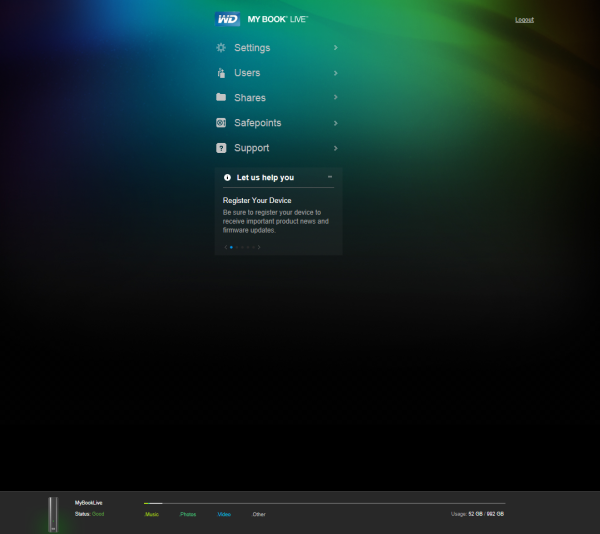 Turn on a PC or Mac connected to the same network as the My Book Live Duo and open a web browser such as Internet Explorer, Chrome, Safari or Firefox. If the network drive's name has been changed, please attempt to use the drive's name instead of mybookliveduo. For example, use http://drivename/ on a PC, or http://drivename.local/ on a Mac. 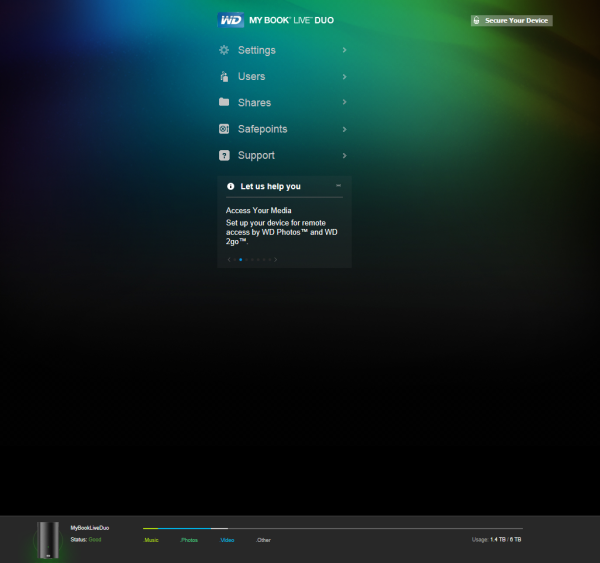 Under normal conditions the Dashboard of the My Book Live Duo will be displayed. Power Cycle the My Book Live Duo.